Holiday Luncheon - Dec 14, 2017 - Hartland Area Chamber of Commerce, MI ? 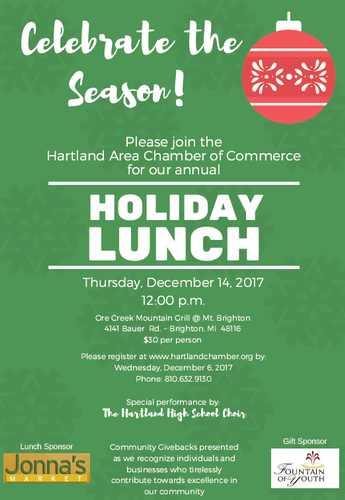 You are cordially invited to join the Hartland Area Chamber of Commerce as we ring in the holidays at our Annual Holiday Luncheon featuring the Hartland High School Choir. All are welcome. Cost is $30 per person and includes lunch, entertainment, networking and a small take-home gift. 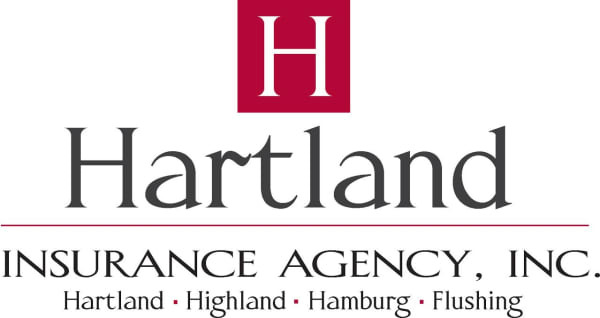 Register and pay online at hartlandchamber.org by Friday, December 2. We will also honor outgoing Board members and present our community give backs. Door prizes are needed for this event. Please email the chamber if you can donate.